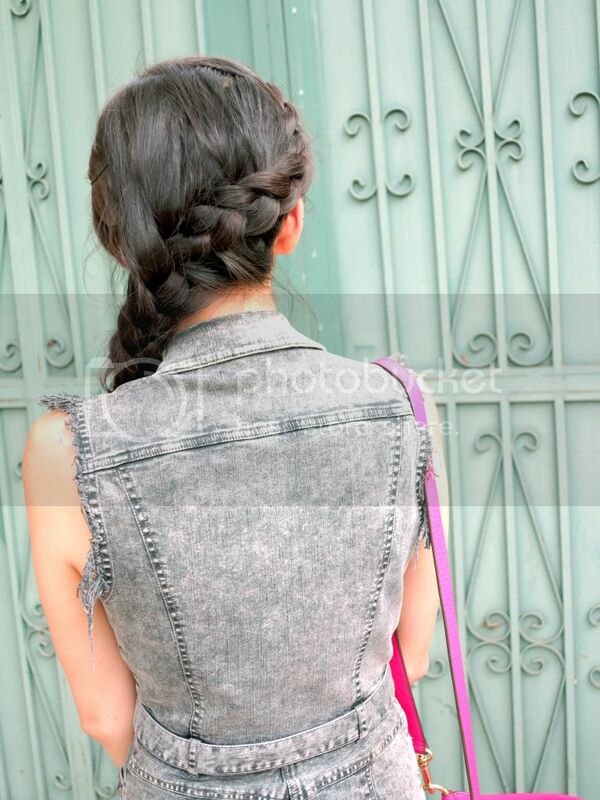 It's a french braid that just goes from one side to the other. I got this denim dress from a showroom sample sale for a pretty good deal. While slightly on the heavy side, it's so easy to just simply throw on when I don't really feel like coordinating anything else. My sister is coming this week! And my other sister starting next week! Yayeeeee.. time for some sister bonding, time spending, relaxing, and everything else.